Featuring an outdoor swimming pool and a bar, The Vic Hotel is located in Kisumu, a 10-minute walk from Kisumu Museum and 0.8 miles from Milimani Shopping Centre. 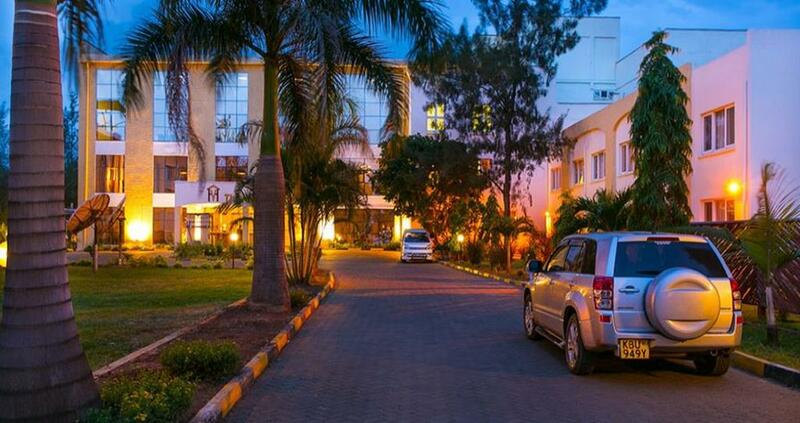 Located around a 17-minute walk from Ecobank United Mall, the hotel is also 0.9 miles away from Kisumu Municipal Market. Free Wi-Fi is available. All rooms in the hotel are equipped with a flat-screen TV. Rooms are complete with a private bathroom, while certain accommodations at The Vic Hotel also have a seating area. All guest rooms at the accommodation have air conditioning and a desk. A continental breakfast is served at the property. Guests can dine in the in-house restaurant, which serves a variety of international and Indian dishes and also offers vegetarian options.